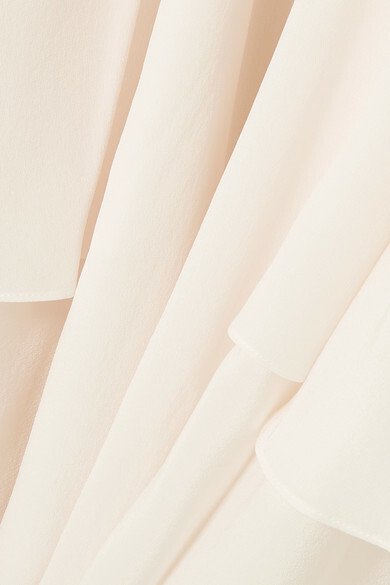 Stella McCartney wanted her Spring '19 collection to feel light and airy, so she designed many styles in fresh pastel shades. 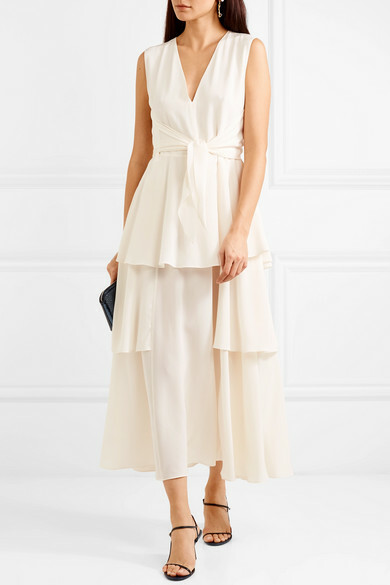 This ivory dress is cut from lightweight silk crepe de chine with a tie at the waist so you can alter the silhouette. 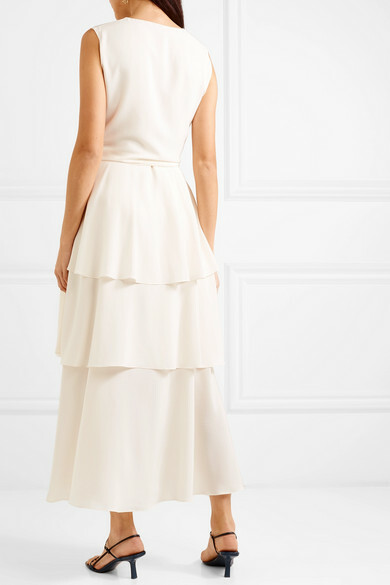 Graceful tiers fall through the skirt, creating soft draping that looks beautiful with barely-there sandals. 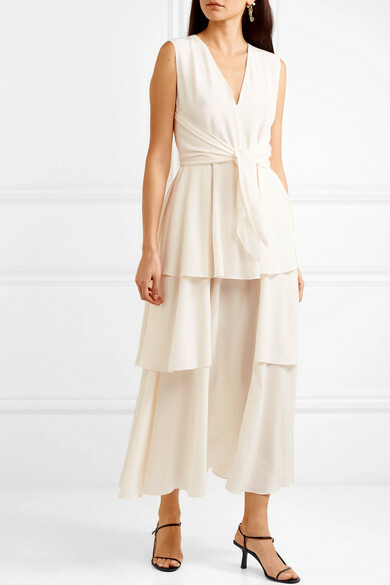 Shown here with: The Row Clutch, The Row Sandals.